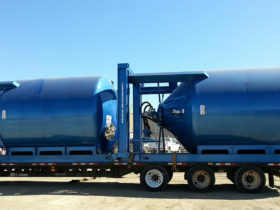 SP50 Silo – Quickthree Solutions Inc.
Two SP50 Silo’s can fit on a single trailer. 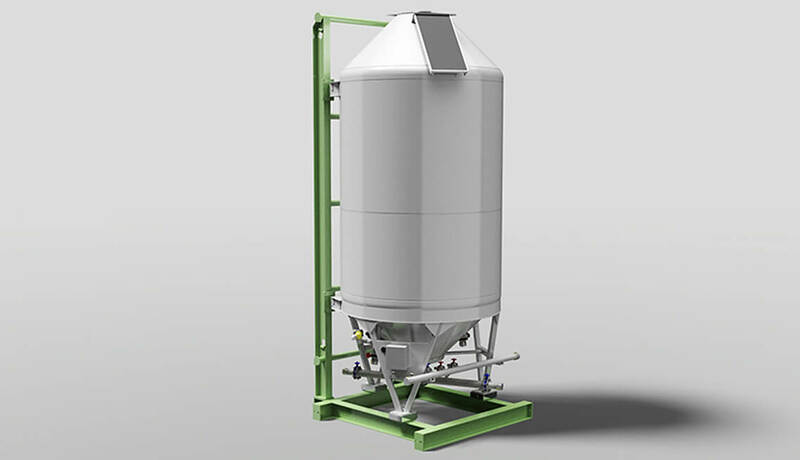 Quickthree Solutions’ portable or bulk plant silo for cement powder, gypsum, fly ash or other pneumatic bulk products engineered for excellent product fluidizing and cleanout. 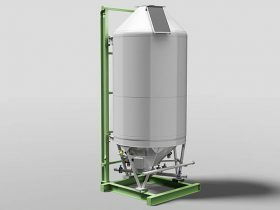 With your cementing operations, time is money, and we’ve designed the SP50 Silo with an eye to save you every penny possible. 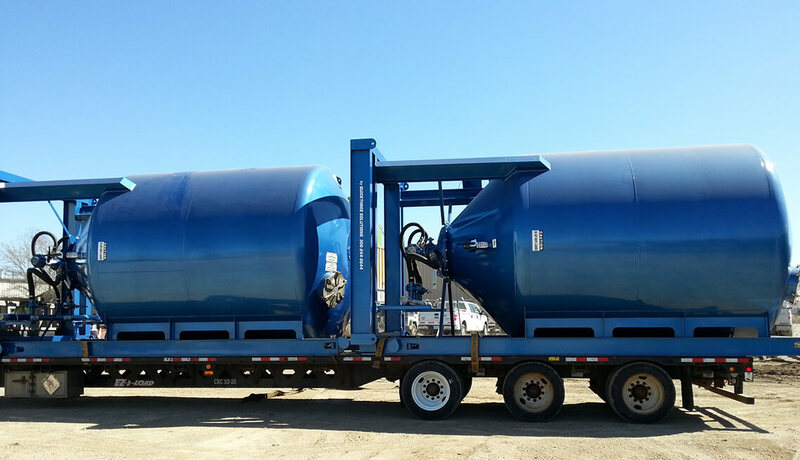 Pneumatic loading and unloading, combined with our standard 36″ diameter pad-type fluidizer, means you get better cement faster. 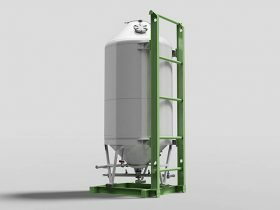 Given the heightened perception of the environmental impact of the oil and gas industry, the SP50 Silo has been designed in every way to promote environmental responsibility of your operations. Employee safety is as important now as it’s ever been. You’ve spent a lot of capital on equipment and training, so losing even one hour is costly. 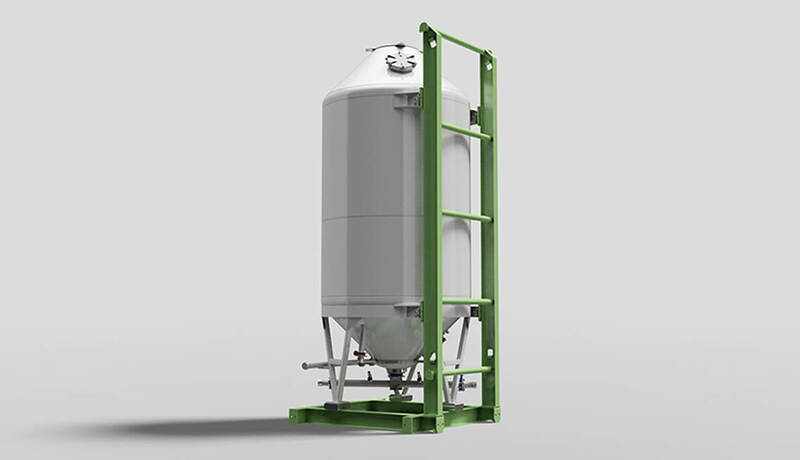 The SP50 Silo has been designed for safe operation and ease of access in operations and maintenance.